Man in a virtual reality mask observing digital video game world. Green screen. VR. 4K. 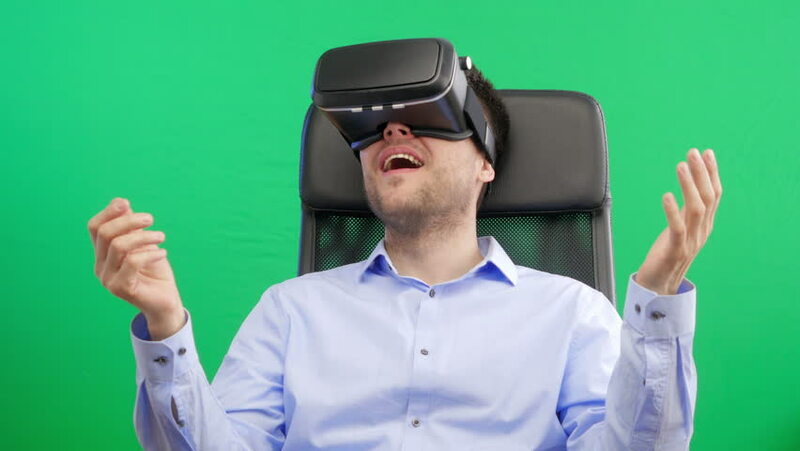 4k00:14Mid Shot of a Scientist Wearing VR Headset in Wonderment Gesticulating with Raised Hands. Shot with Green Screen Background. Shot on RED Cinema Camera 4K (UHD). 4k00:29Man in a virtual reality mask observing digital video game world. Green screen. VR. 4K. 4k00:28Man in a virtual reality mask observing digital video game world. Green screen. VR. 4K. 4k00:23Man in Virtual Reality Glasses. Man in a virtual reality mask observing digital video game world. VR. 4K. Green screen. 4k00:27Man in Virtual Reality Glasses. Man in a virtual reality mask observing digital video game world. VR. 4K. Green screen. 4k00:18Man in Virtual Reality Glasses. Man in a virtual reality mask observing digital video game world. VR. 4K. Green screen. hd00:30Man in Virtual Reality Glasses. Green screen. 4k00:46Man wearing virtual reality mask. Man in a virtual reality mask observing digital video game world. VR. 4k00:30Man in a virtual reality mask observing digital video game world. Green screen. VR. 4K. 4k00:30Man in Virtual Reality Glasses. Man relaxing with hands behind head.